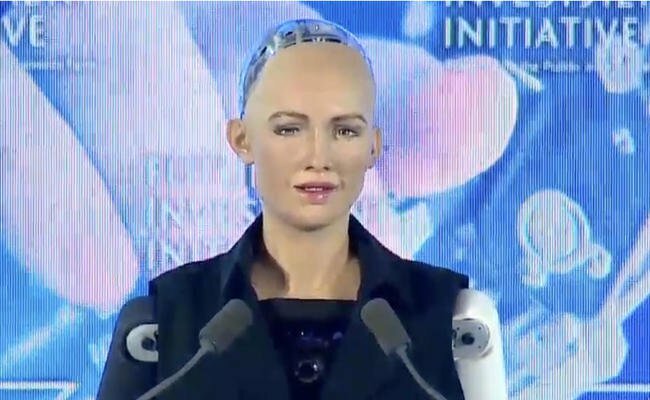 Sophia is the first robot in history to be granted robot citizenship of a country, the robot who became a citizen of Saudi Arabia hardly a week ago has taken robotics one step closer to being infused into our daily lives. Sophia was created by Hanson Robotics and she’s truly one of a kind, the focus area is currently on her intelligence. The other parts of her body such as her legs and hands (though her hands work pretty well already) have not been fully developed, but all that will be looked into with subsequent upgrades. Sophia is a humanoid robot that was granted the first ever Saudi citizenship for a robot. The CEO of Hanson Robotics explains the idea behind Sophia is to build the full human experience in a robot, pushing boundaries and making robots that can really understand us and care about us. Her AI (Artificial Intelligence) was made using SingularityNet, the AI is basically the brain of the robot, and the work put into SingularityNet is simply amazing. She’s currently able to express over a thousand human emotions, and she can engage in intelligent conversations with humans effortlessly. Sophia was designed to look like Audrey Hepburn. Audrey Kathleen Ruston (full name) was a British actress and humanitarian who died at the age of 63 due to Appendiceal cancer. Sophia embodies Hepburn’s classic beauty: porcelain skin, a slender nose, high cheekbones, an intriguing smile, and deeply expressive eyes that seem to change color with the light. The irony of the citizenship is that Saudi Arabia is well known for having some of the worst women rights policies, it was only until late this year women were allowed to drive in the country. Hanson Robotics are the masterminds behind Sophia, the company creates amazingly expressive and lifelike robots that build trusted and engaging relationships with people through conversation. They focus on building robots that teach, serve, entertain, and will in time come to truly understand and caring about humans. The company aims at creating a better future for humanity by infusing artificial intelligence with kindness and empathy, cultivated through meaningful interactions between robots and the individuals whose lives they touch. They envision that their robots will eventually evolve to become super intelligent genius machines that can help us solve the most challenging problems we face here in the world.